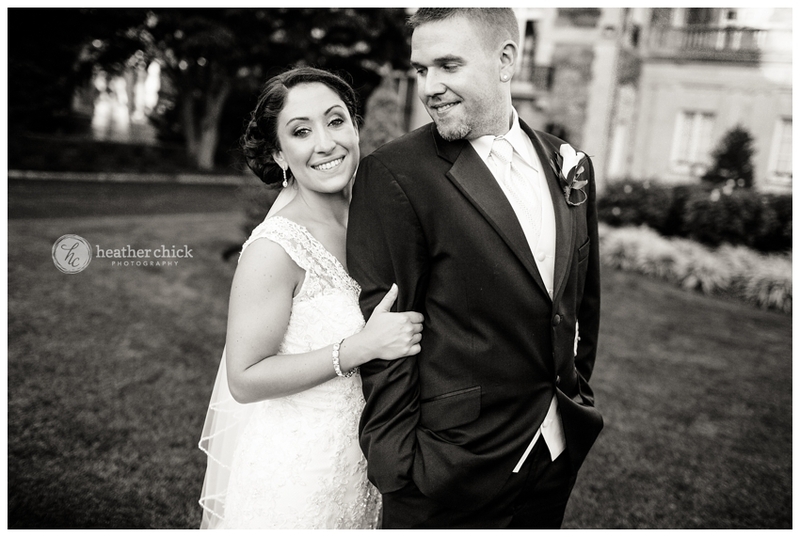 Christine and Mike were married on a gorgeous day at the end of August, not to hot, not too chilly and a lot of beautiful sun:)! 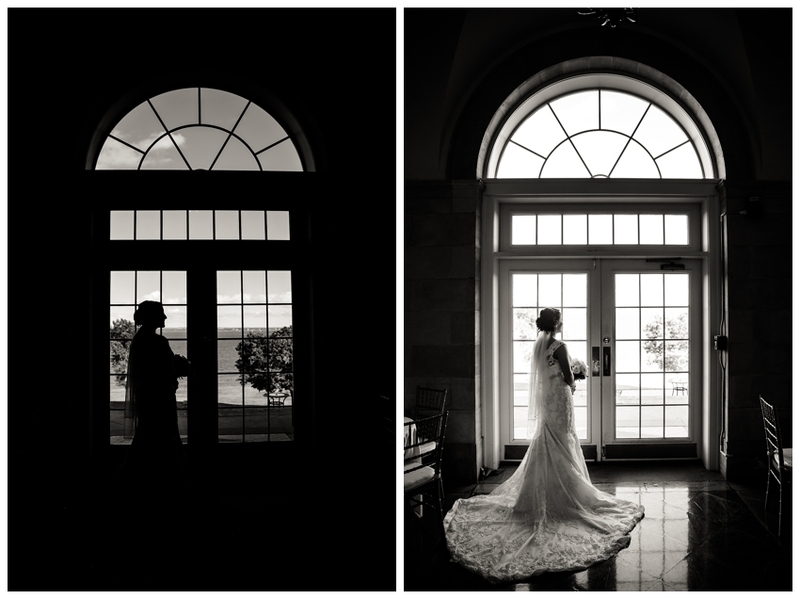 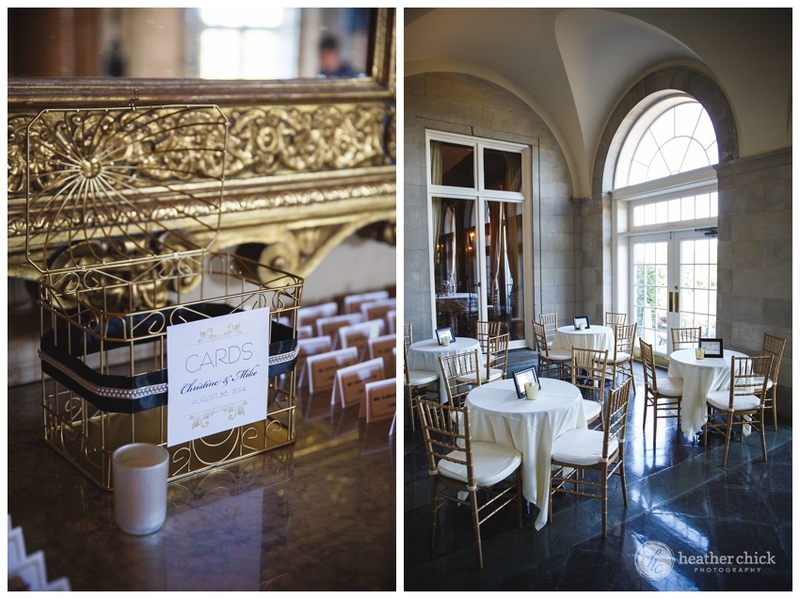 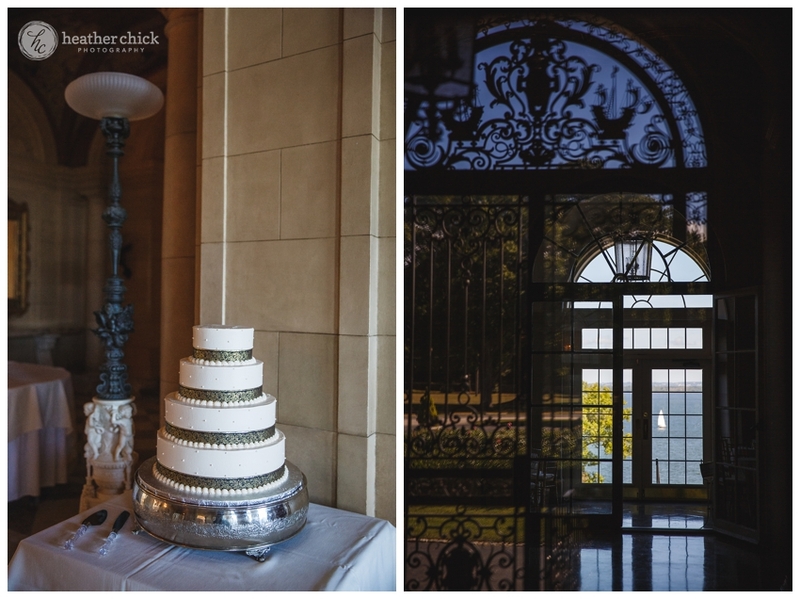 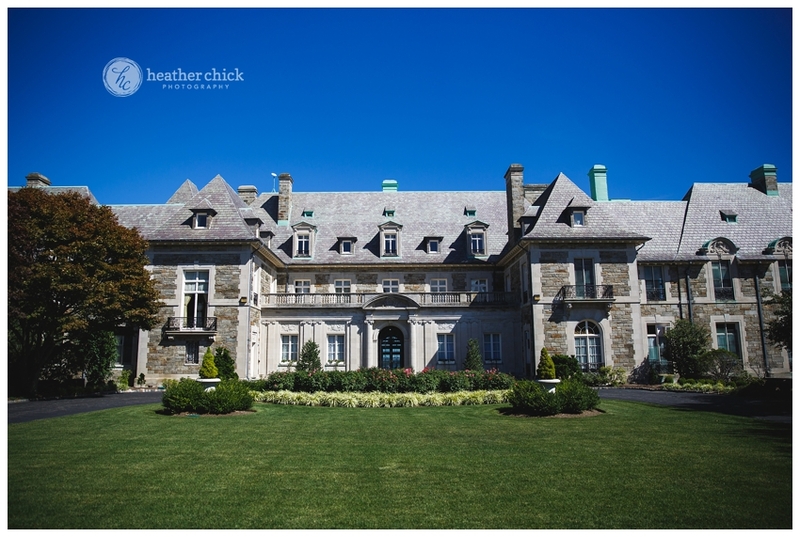 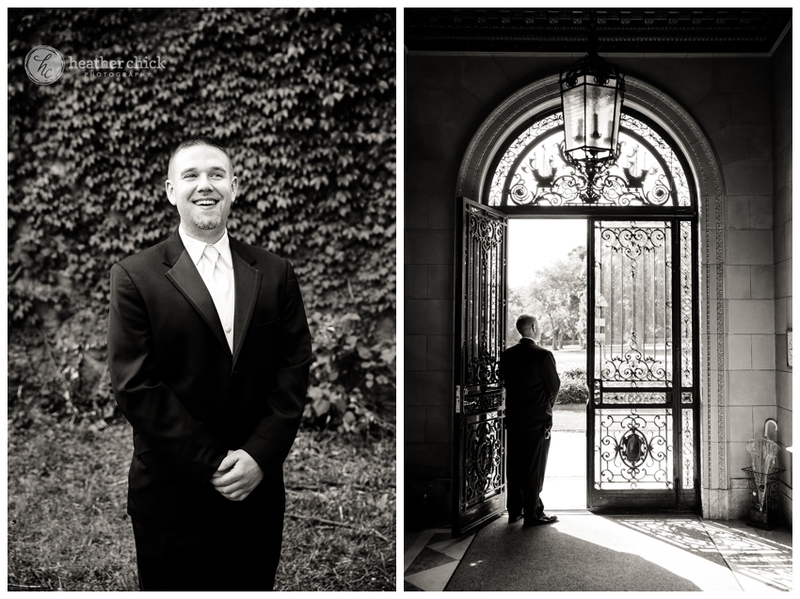 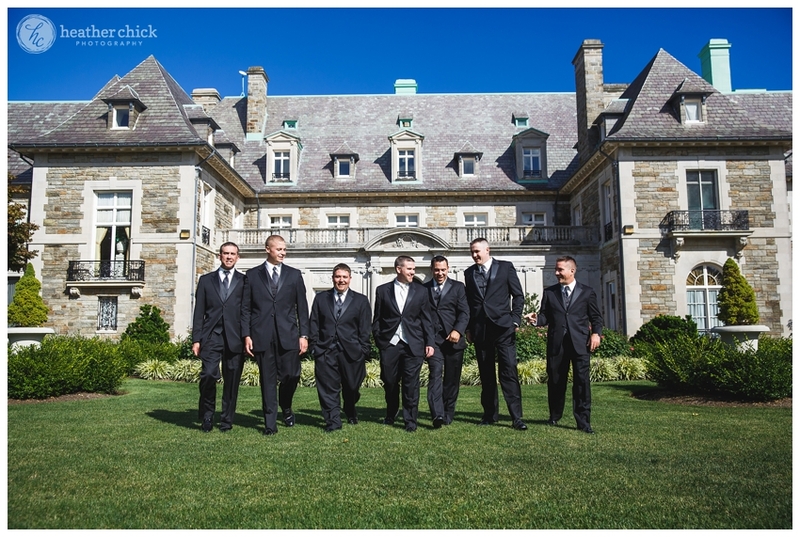 My day with them started at Aldrich Mansion…I arrived early to get some photographs of the building, grounds, and details before the first limo delivered the guys for some pictures before the ceremony…and let me tell you that this venue is stunning! 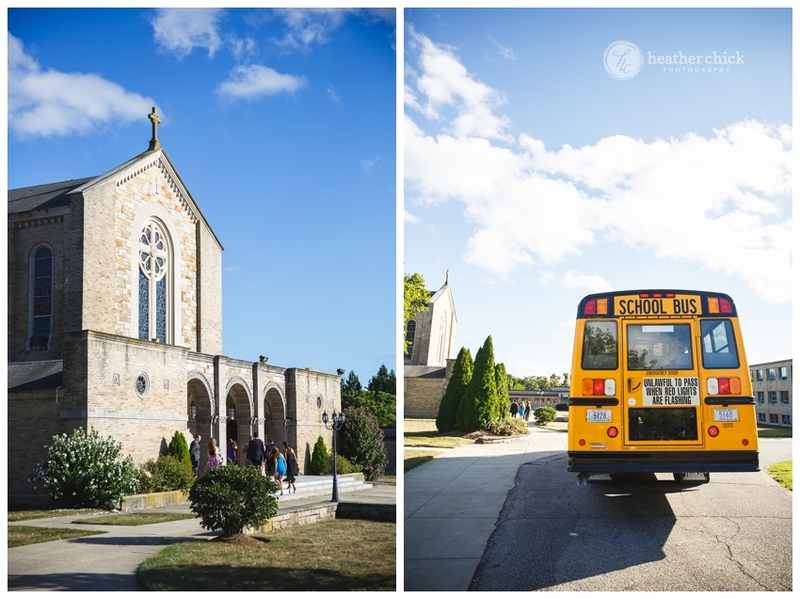 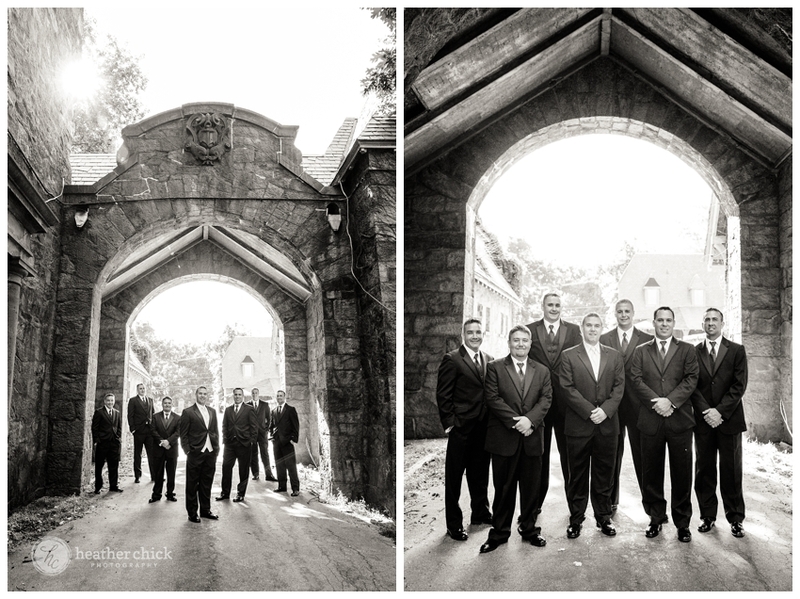 When the guys arrived, I had them meet me over in a spot that was a bit of a walk from the main building….that is the beauty of this venue….there are just SO many spots! 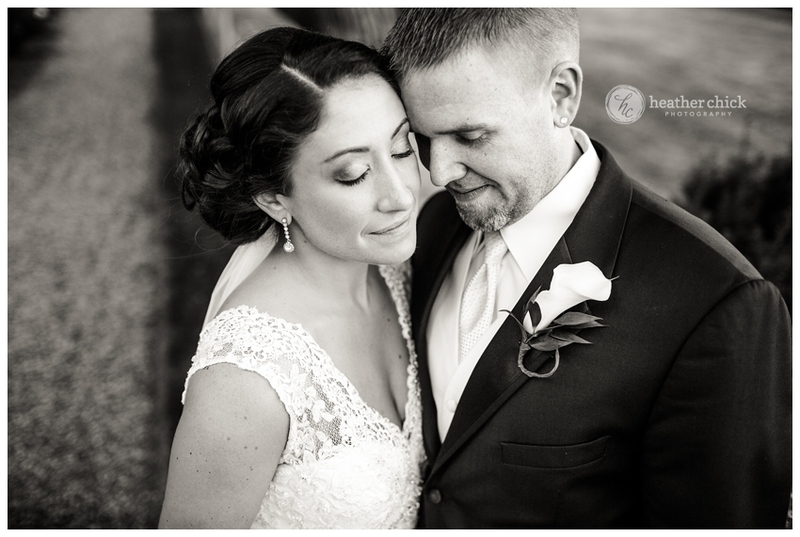 We did our best to take advantage of as much as we could with our tight timeline! 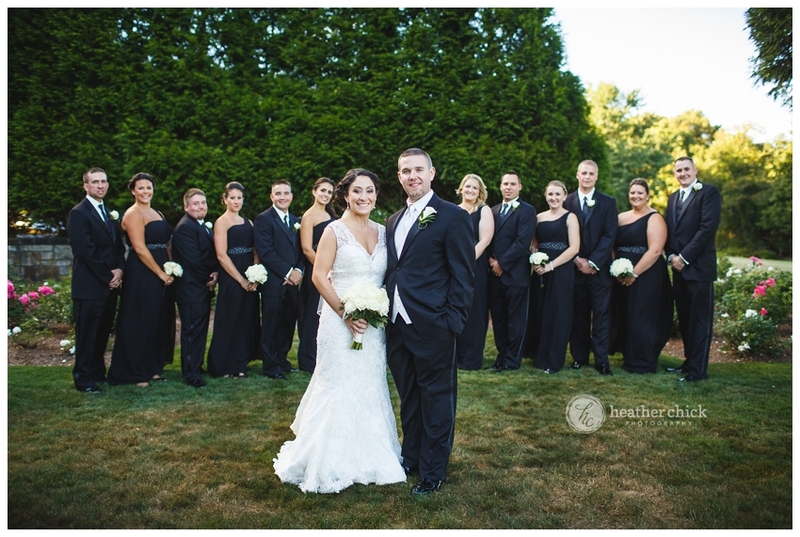 I met Christine and Mike, when I photographed Kristen and Mike’s wedding – Kristen is GROOM Mike’s sister and her husband is on the far right:)! 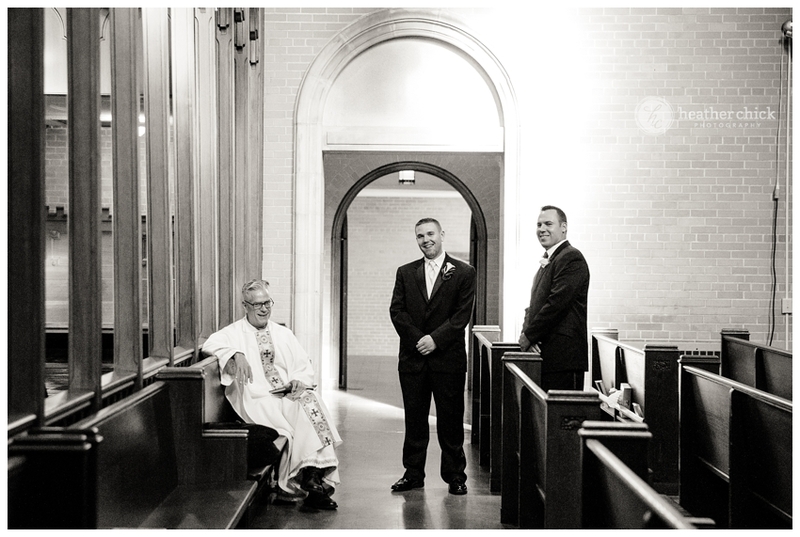 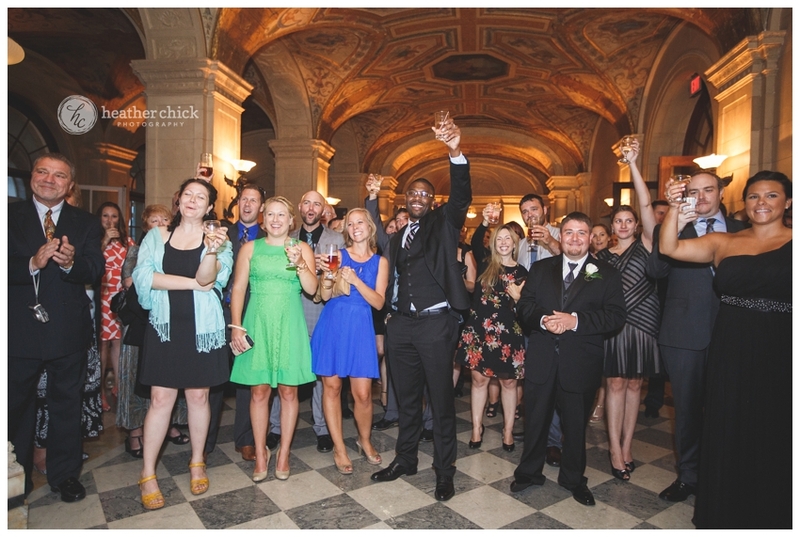 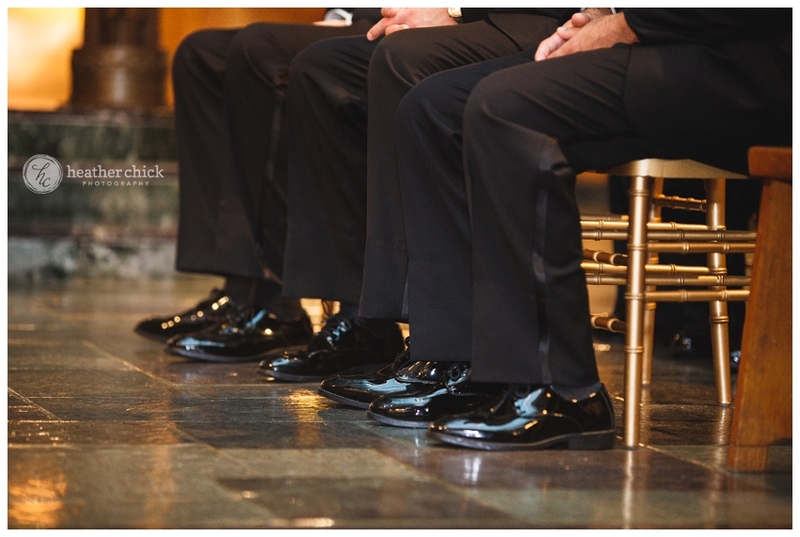 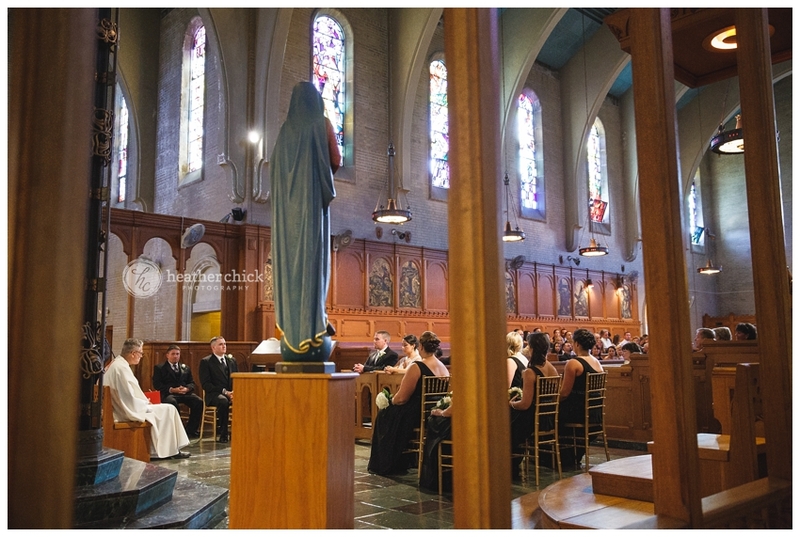 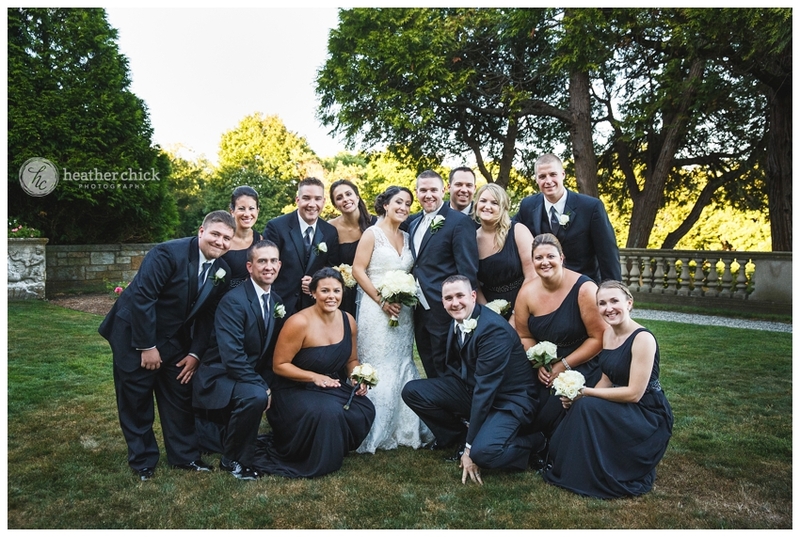 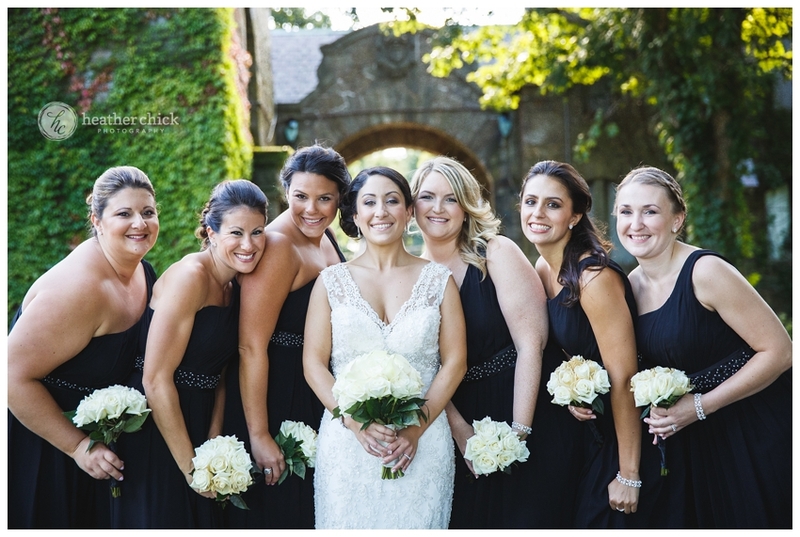 There were a LOT of Mike’s in this bridal party…three to be exact:)! 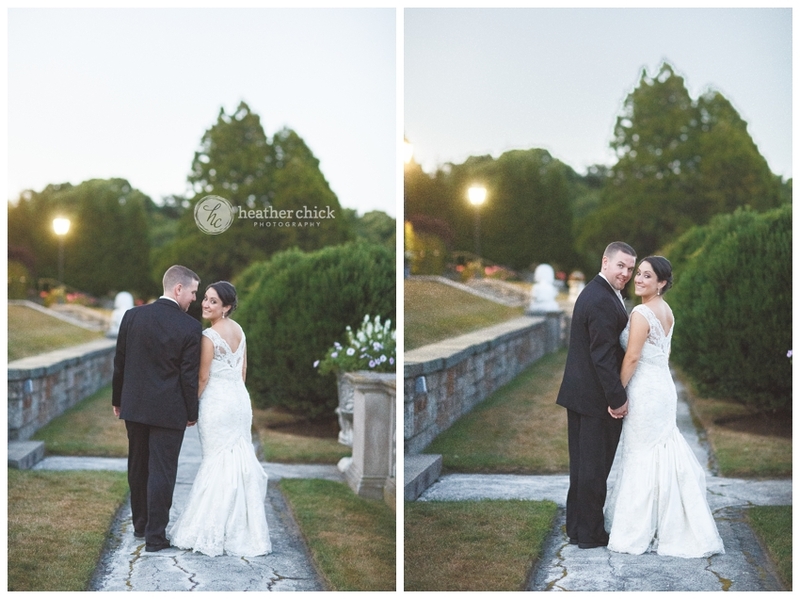 Before they headed in to get out of sight, we grabbed a couple pictures on the lawn too:)! 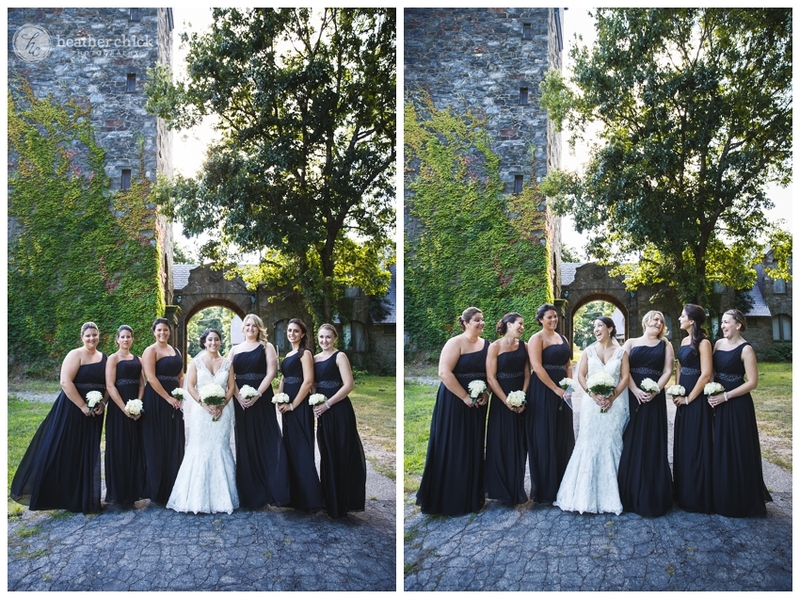 Just minutes later the girls arrived…Ironically, Kristen is in the same spot on the far right as her husband was when we did the guy pictures…Kind of funny:)! 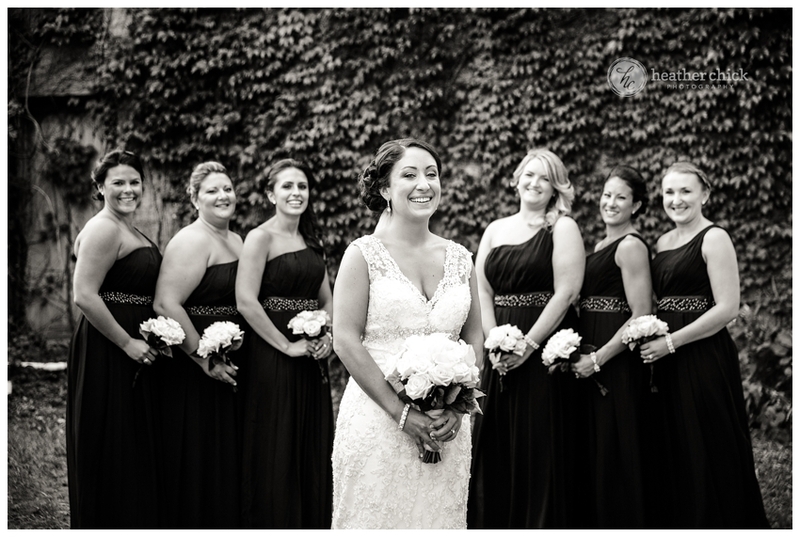 The one request Christine had was to do a “Bridesmaid” shot – we didn’t have true brick to work with, but we had a lot of gorgeous stone and these girls totally rocked the pose! 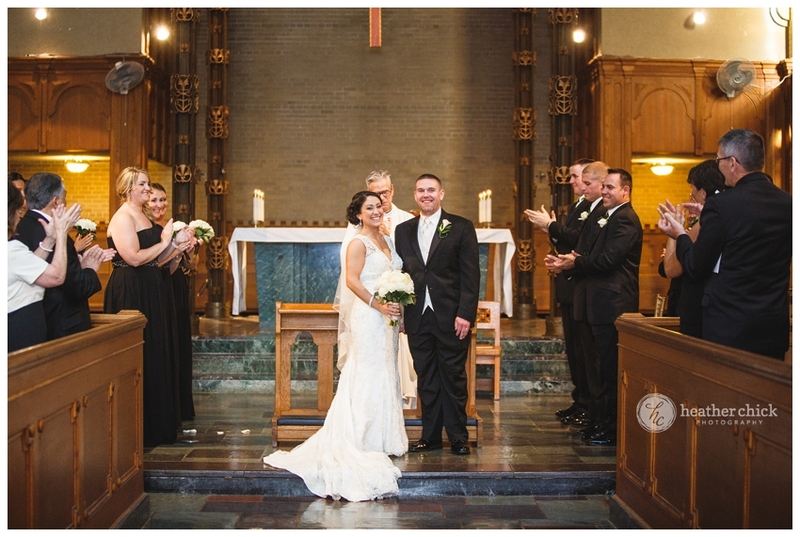 Their ceremony ended up being a rather long one, but it gave me plenty of time to use all of the different spots that this unique chapel had to offer – including side views:)! 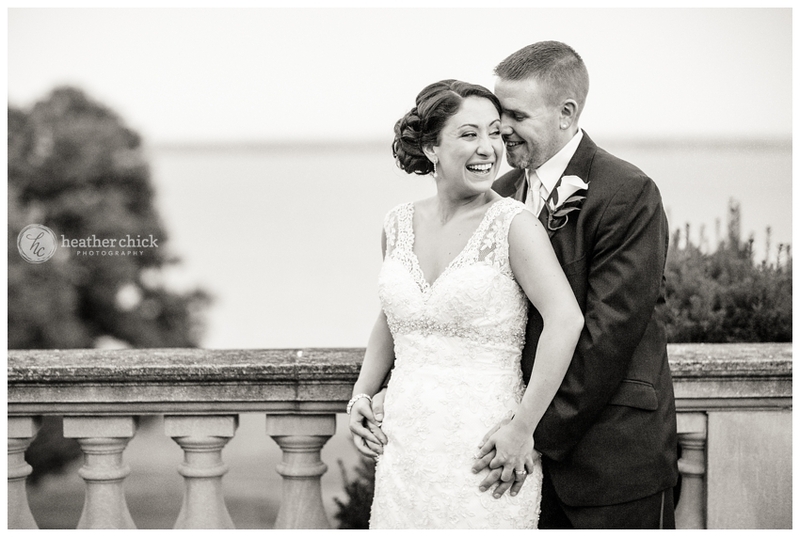 After we wrapped up family and bridal party pictures we spent our last bit of time on these adorable two:)! 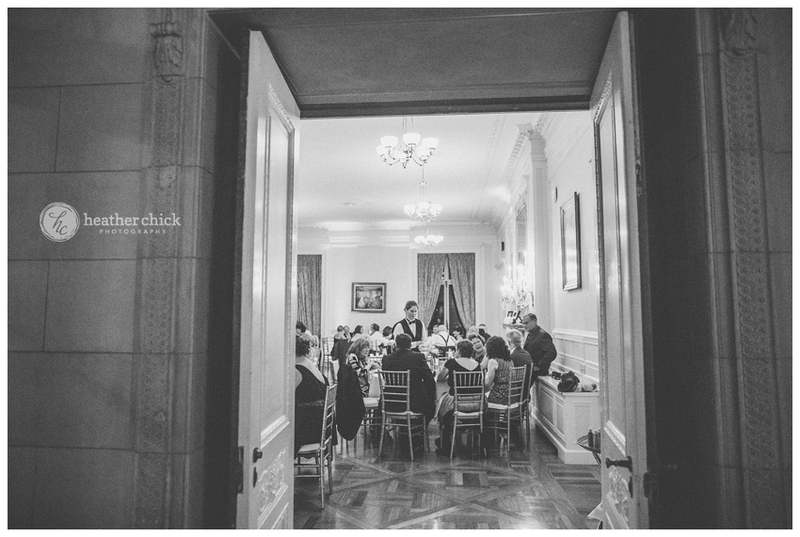 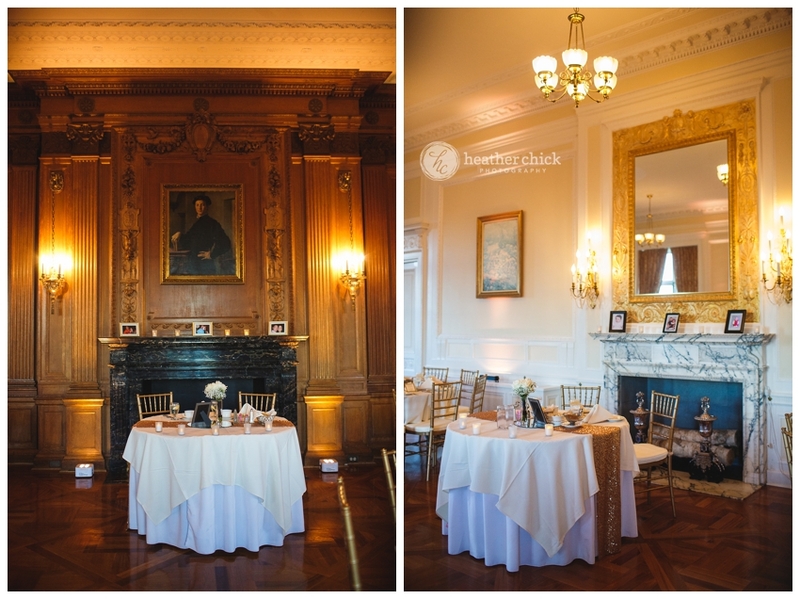 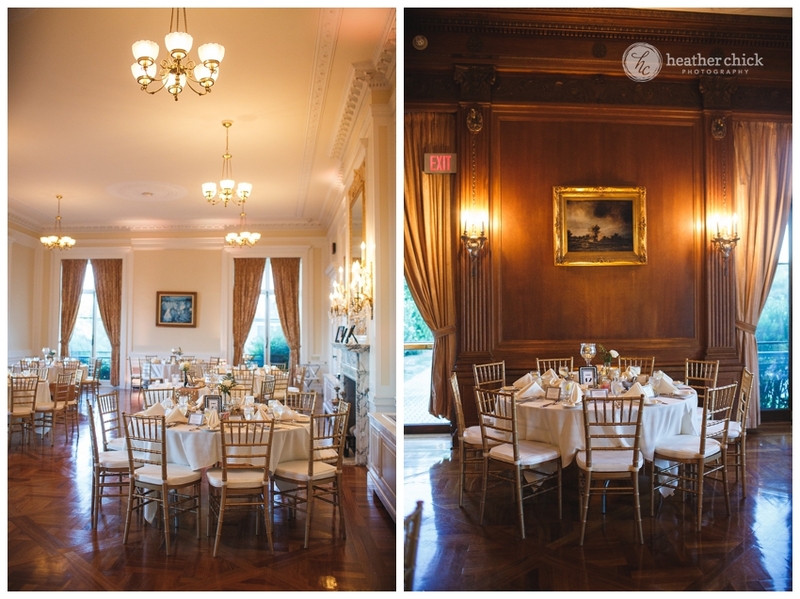 Inside of the Aldrich Mansion, two rooms were set up for dinner and Christine and Mike had a table for the two of them in each room! 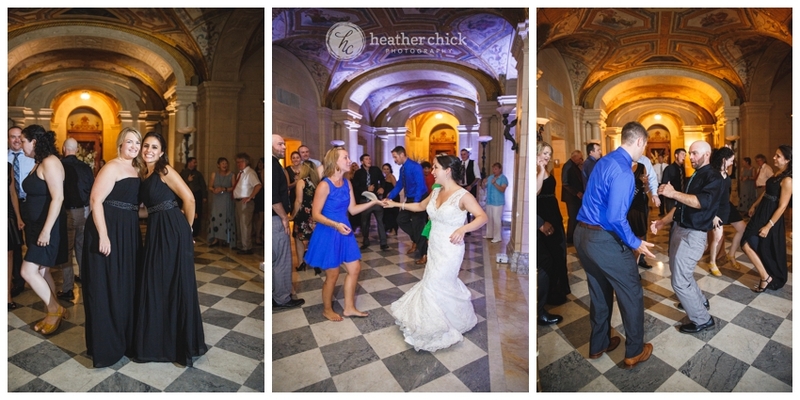 The reception began with grand intros and their first dance! 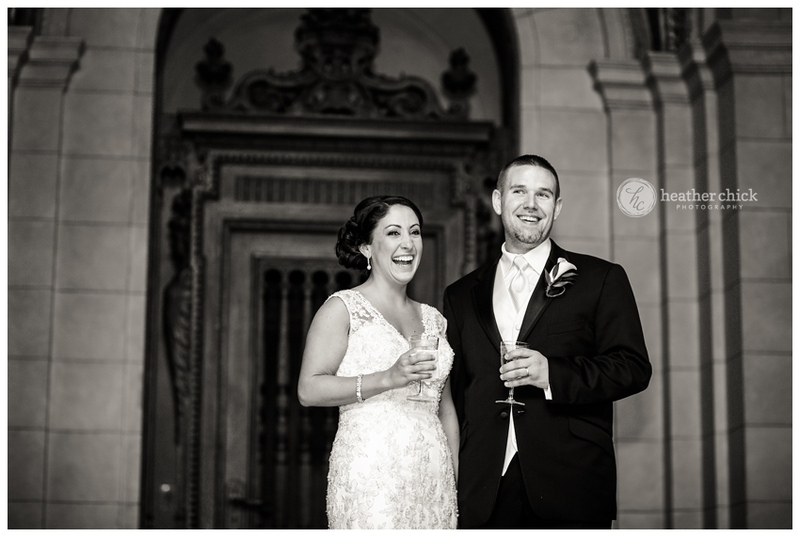 Toasts by the MOH Keri and the BM Jon followed:) After toasts, the sun had quickly set, so we snuck back out to get a few pictures with the ocean back-drop…it was one of those spots that we hadn’t made it to yet:)! 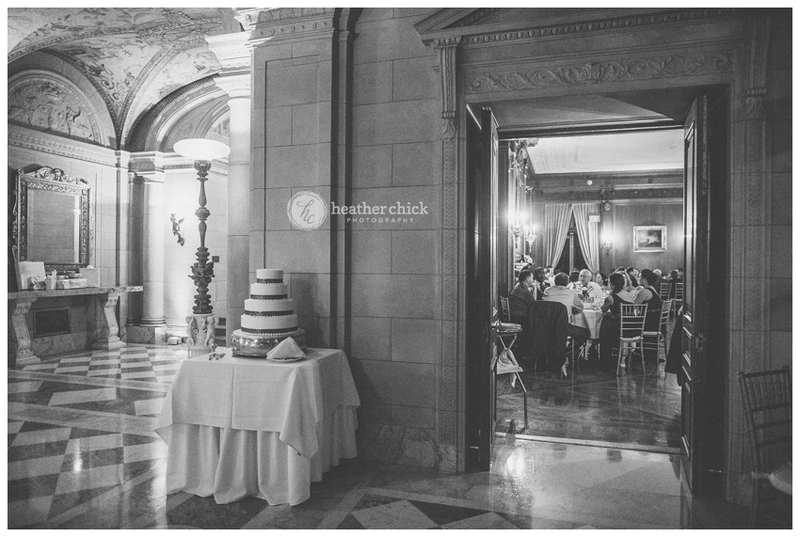 Back inside everyone had begun to sit down for dinner….I added a little extra “vintage” feel to these next two photographs…this venue just lent itself to that feel – I did a bunch more for their gallery too:)! 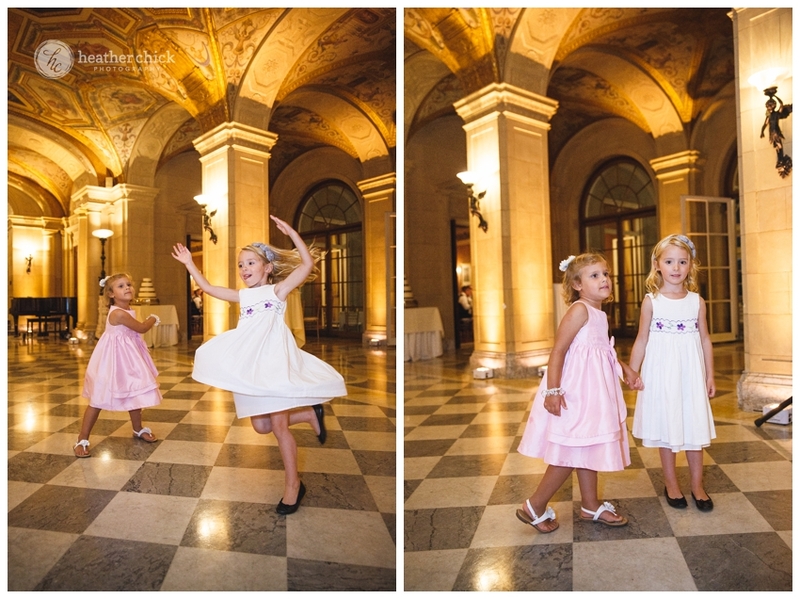 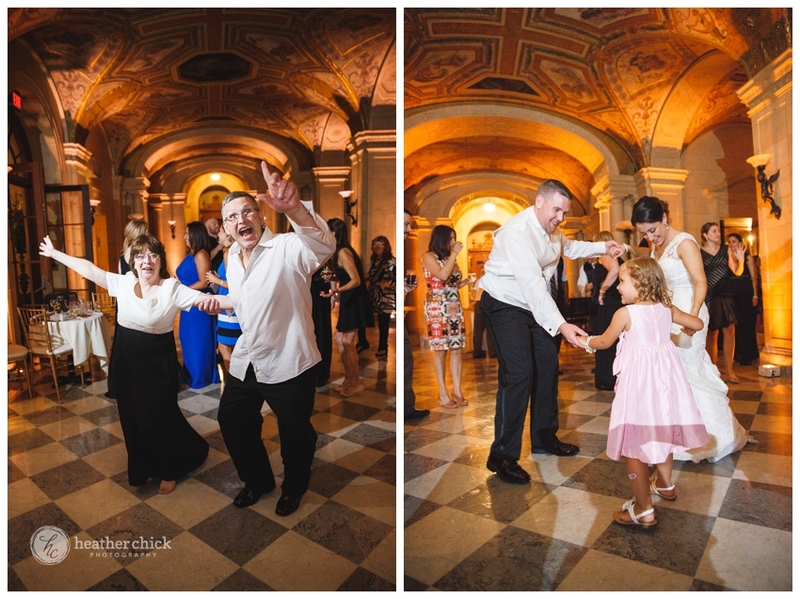 During the courses of dinner, we grabbed a few group photos of friends and family and the little munckins did some dancing…. 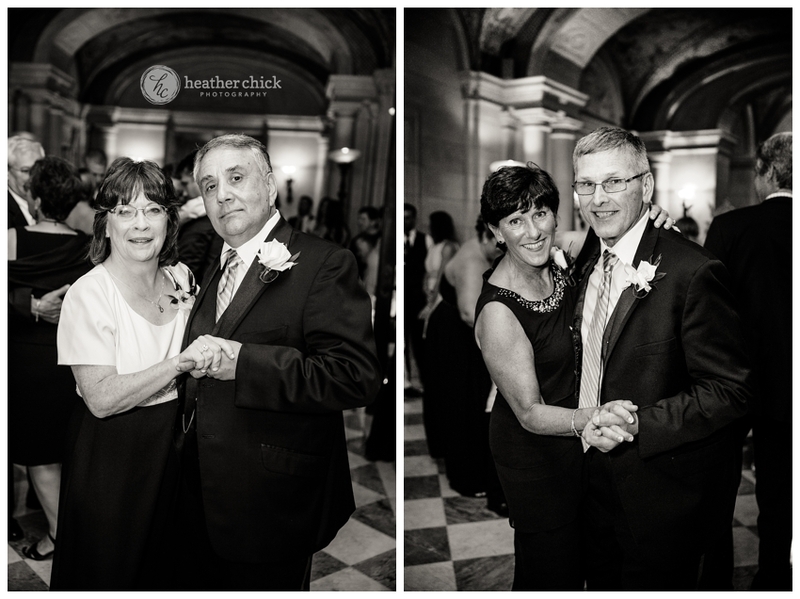 After dinner Christine and Mike cut the cake and Christine danced with her dad…. 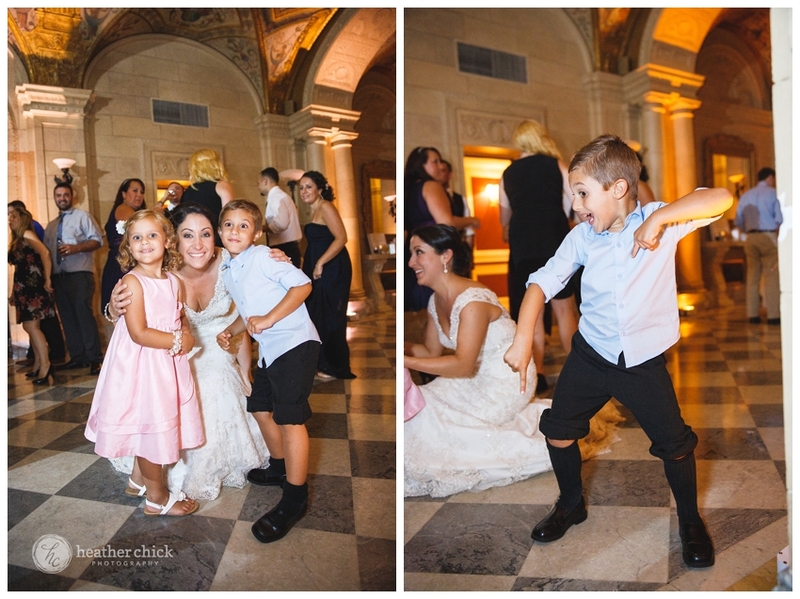 Then the partying kicked off with a bang:)! 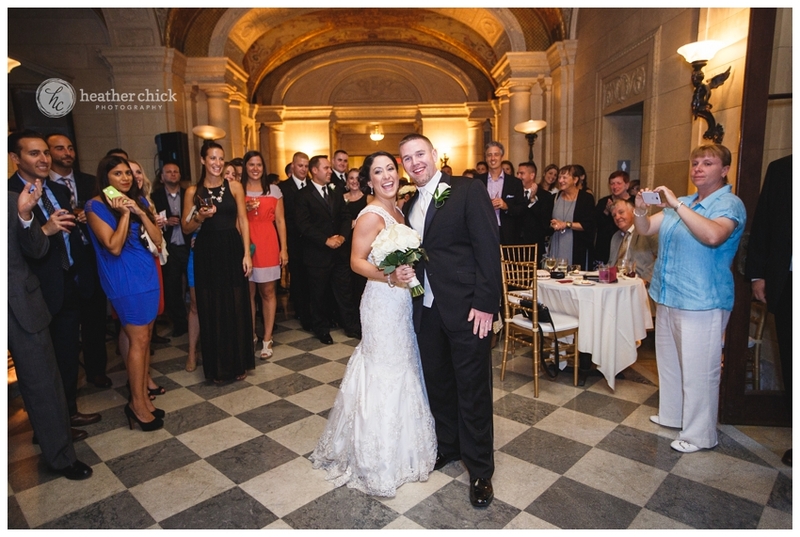 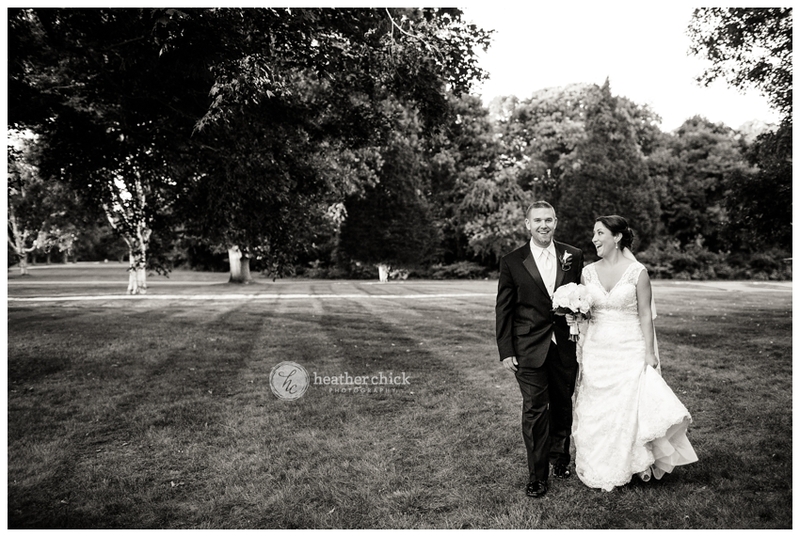 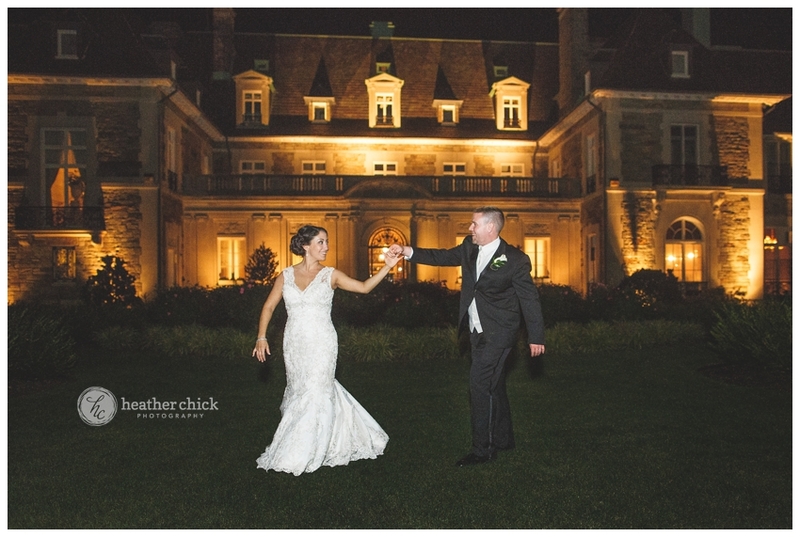 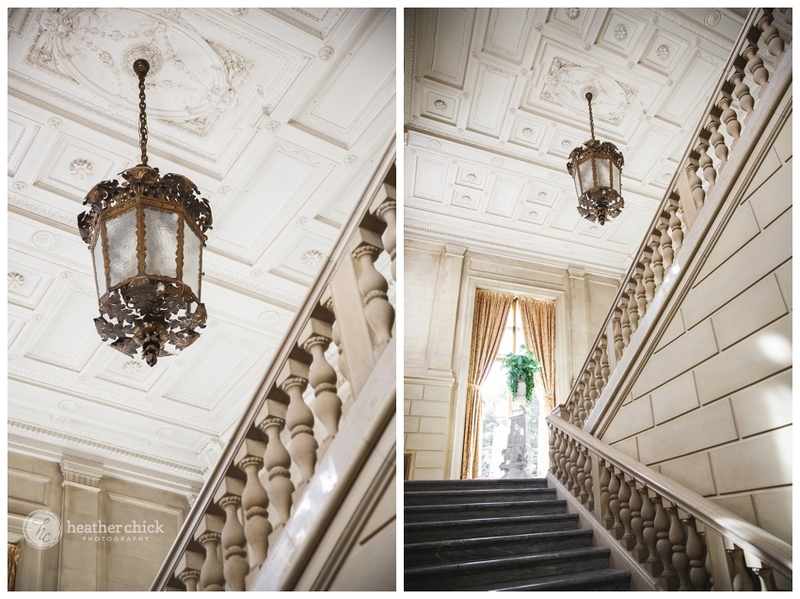 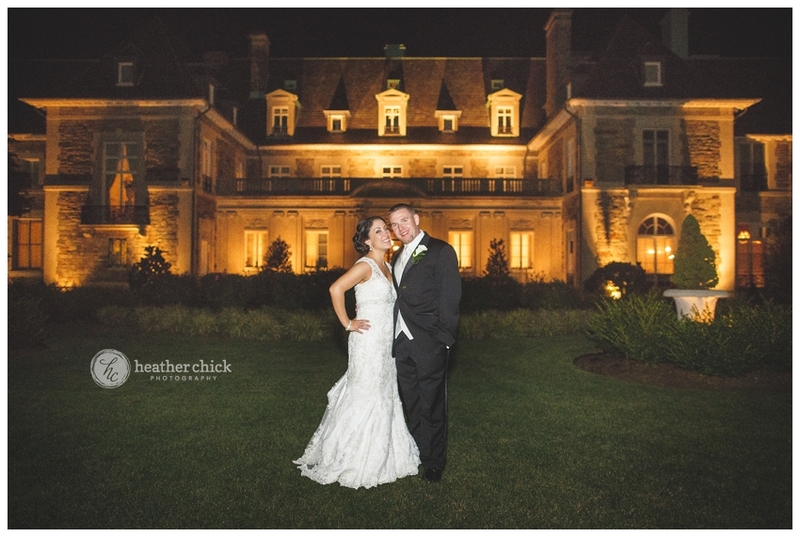 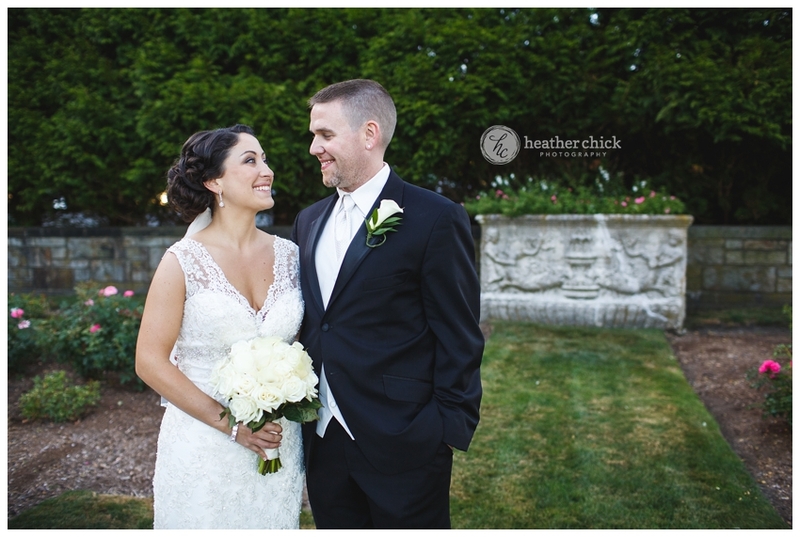 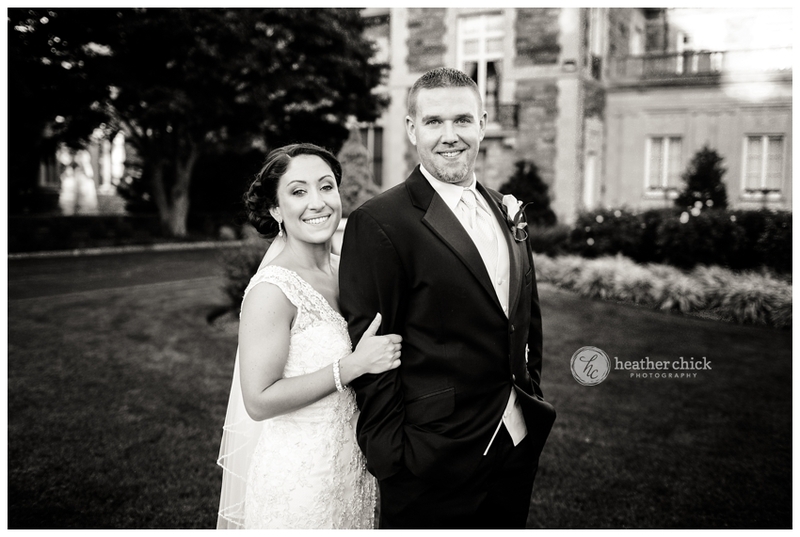 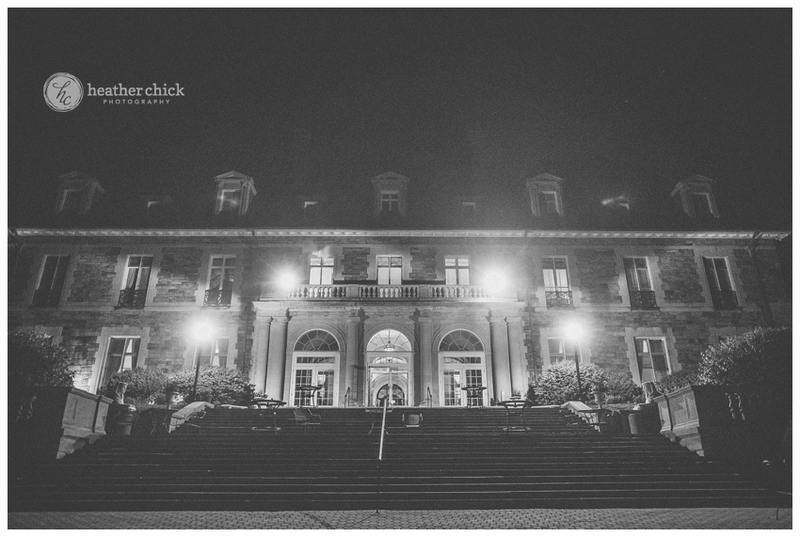 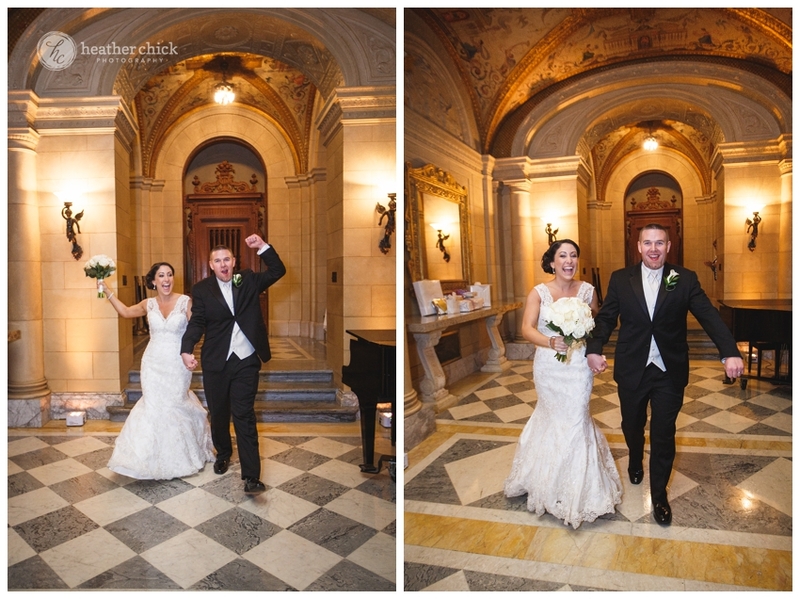 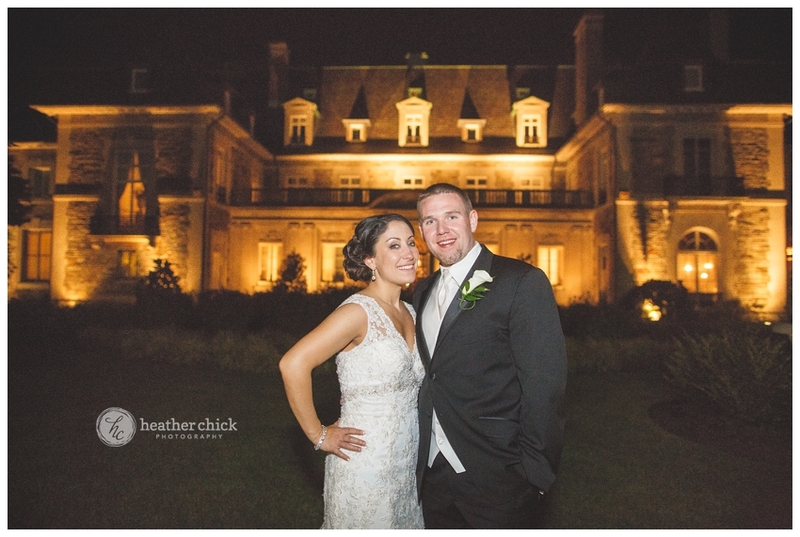 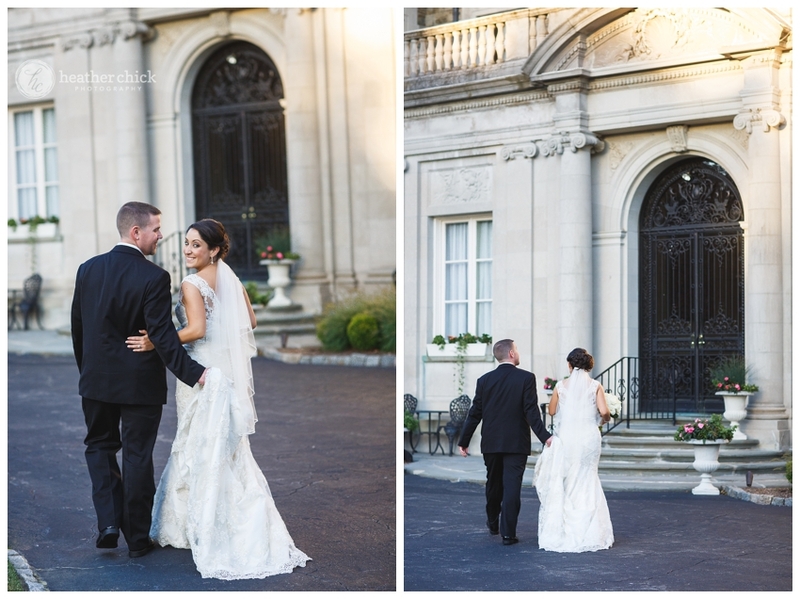 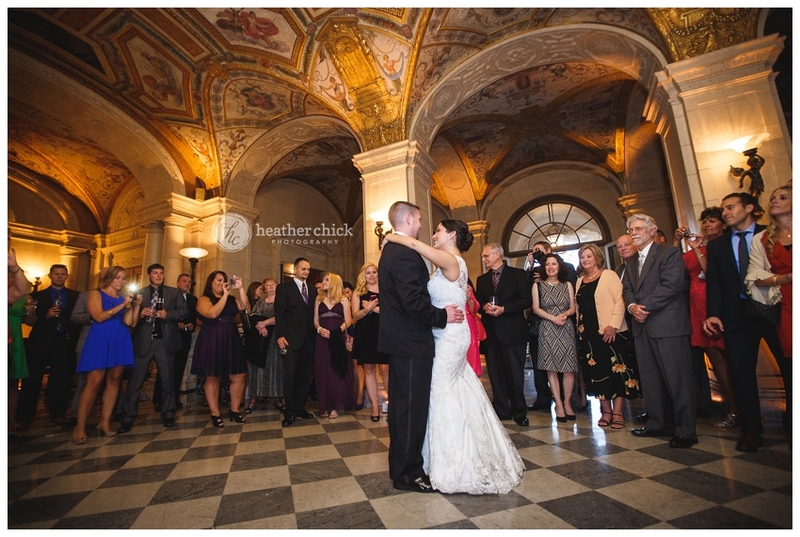 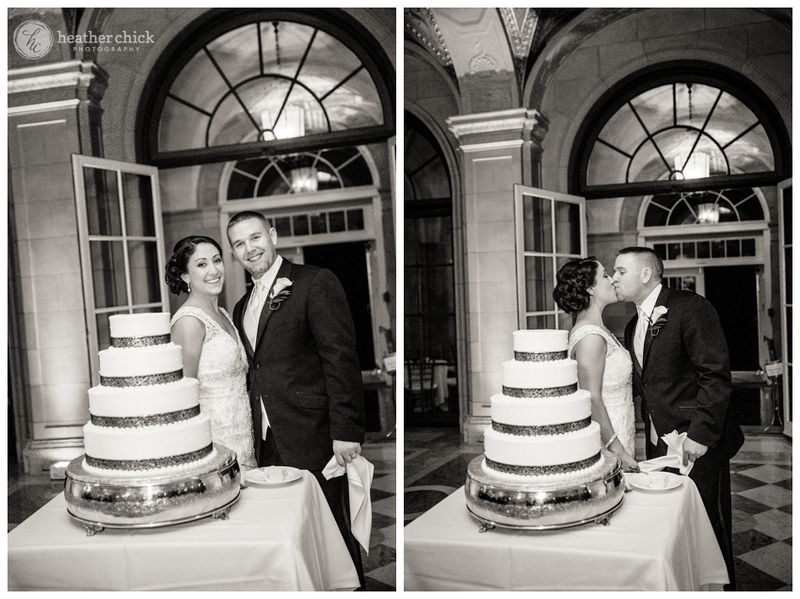 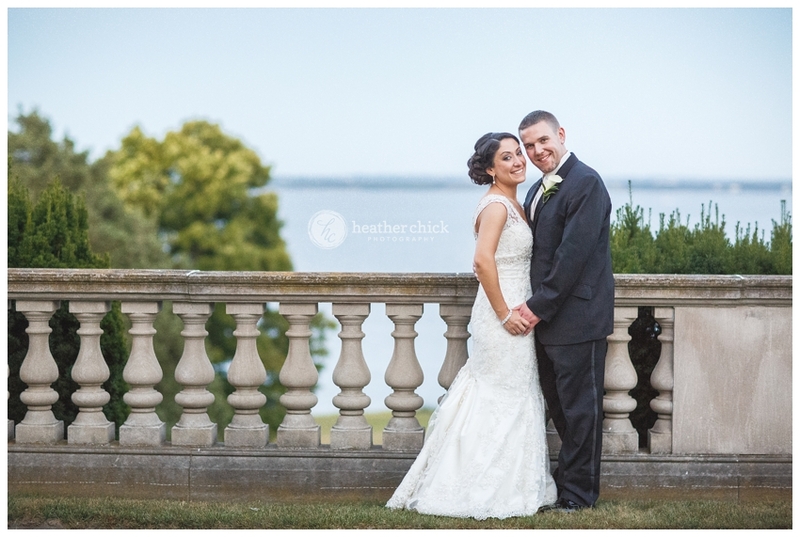 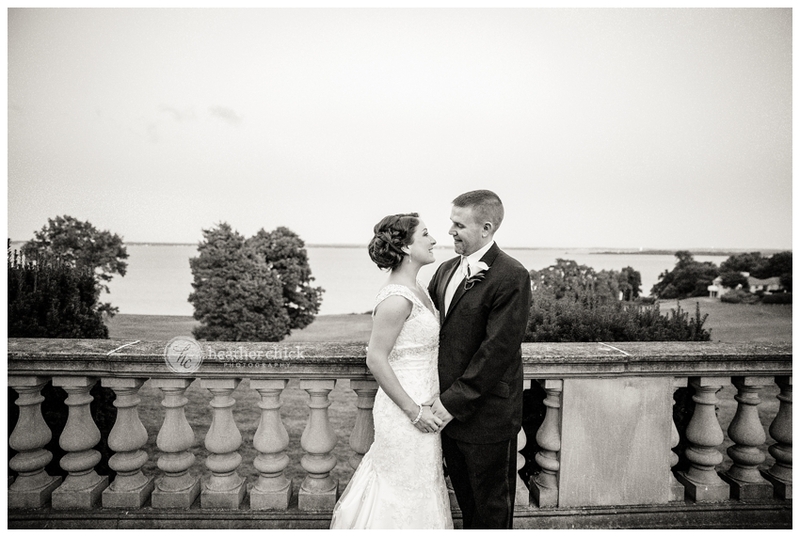 I will wrap up with a couple last photos of Christine and Mike…and the gorgeous mansion too:)! 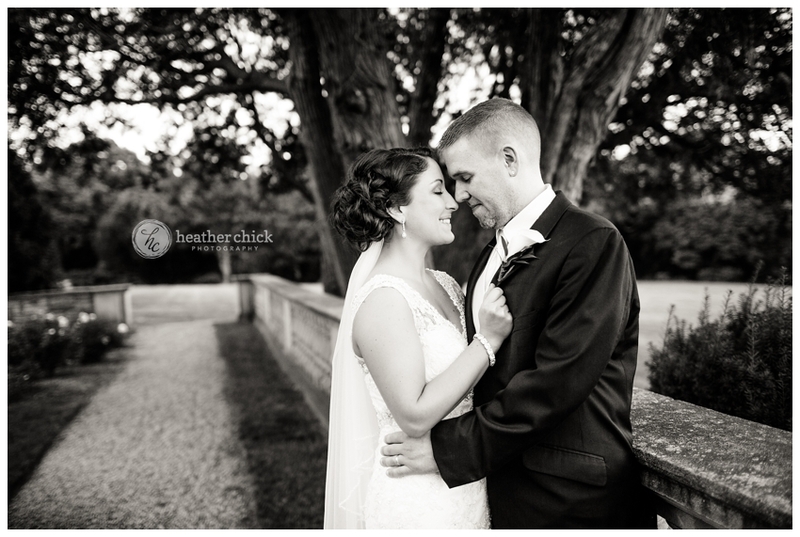 One last one with that extra vintage feel:)! 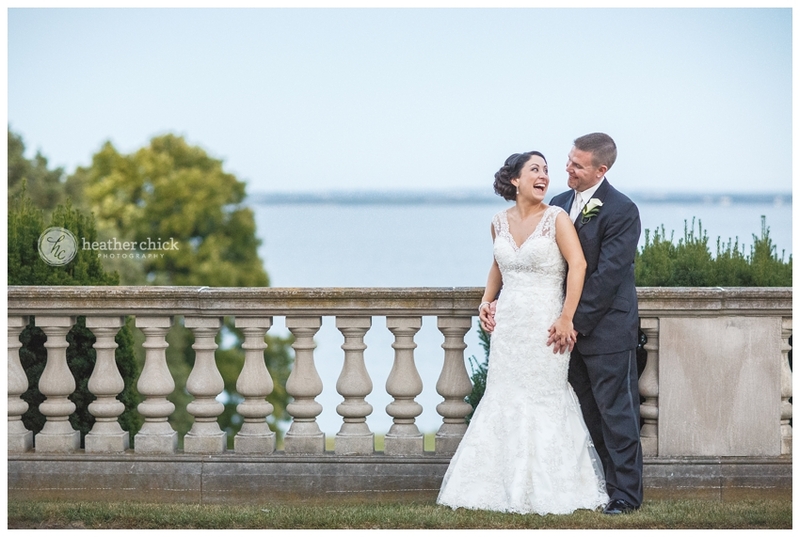 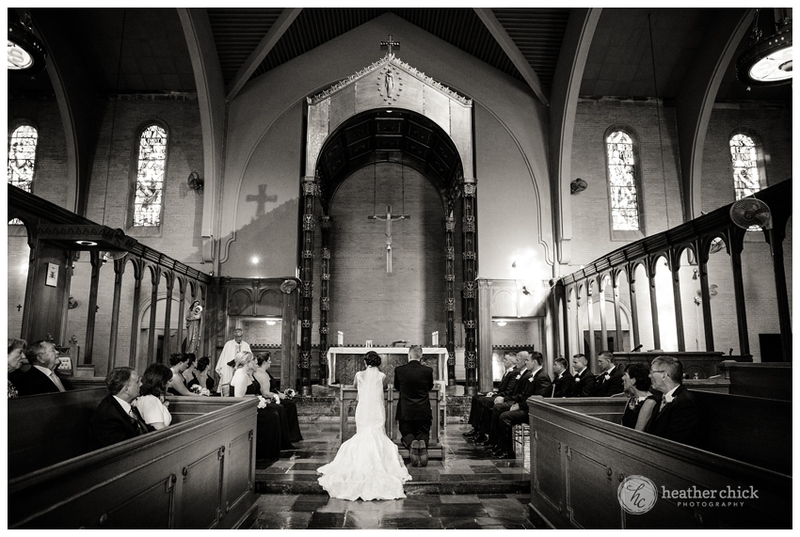 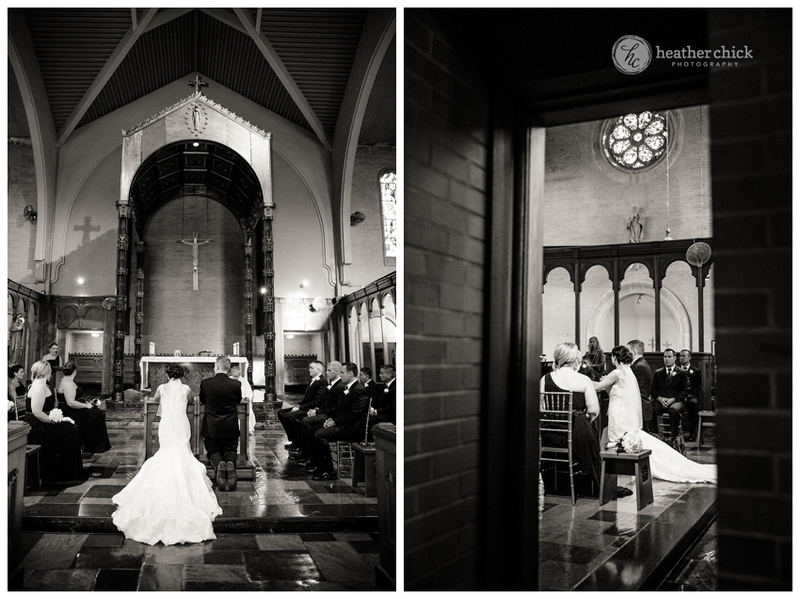 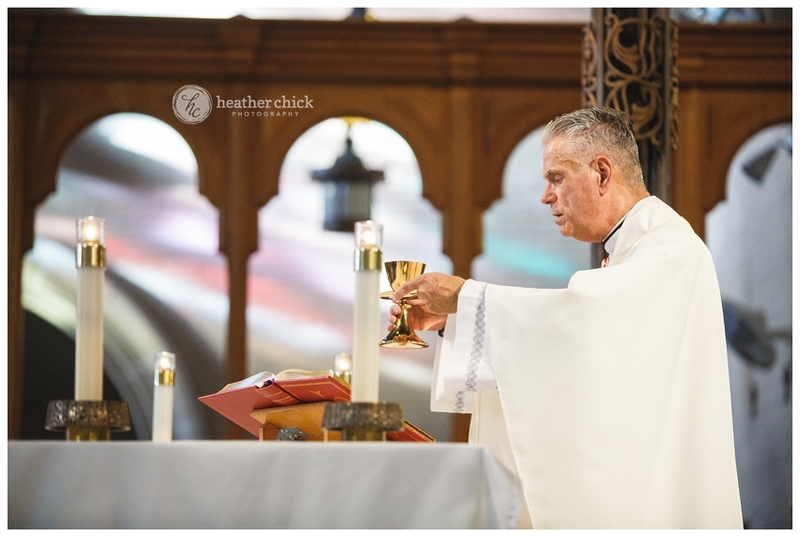 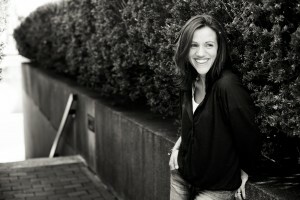 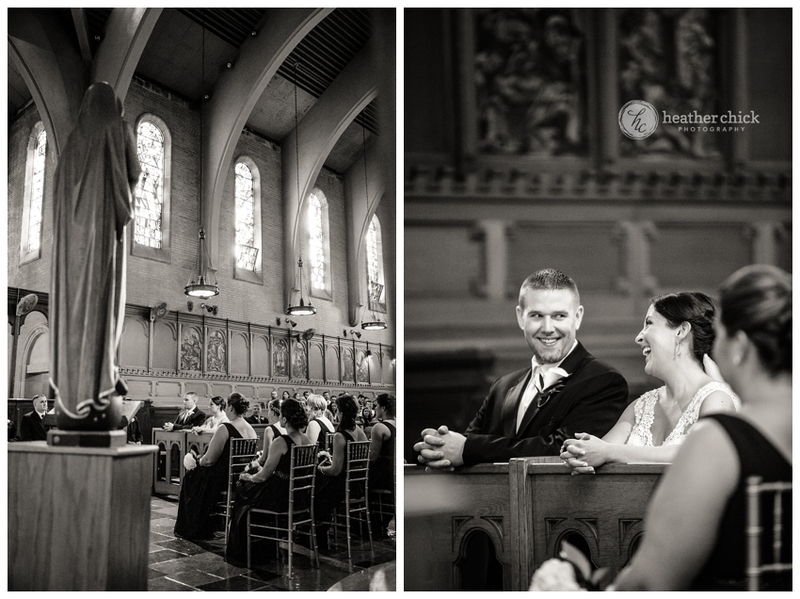 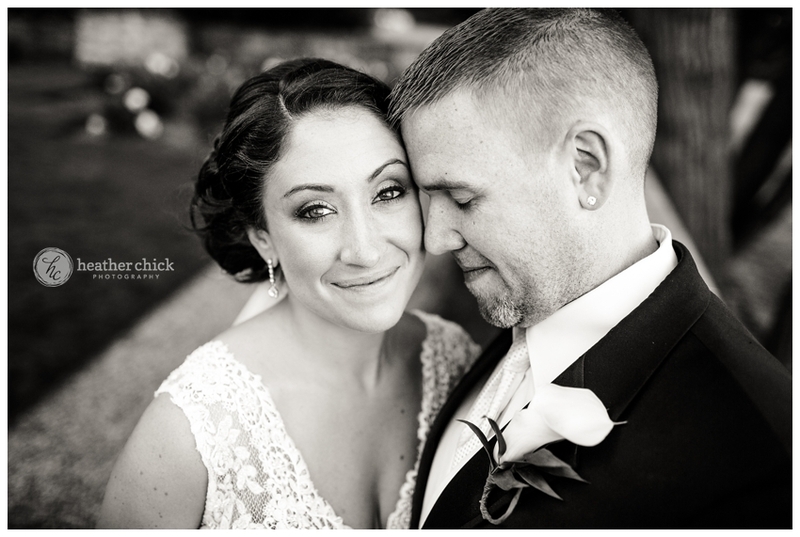 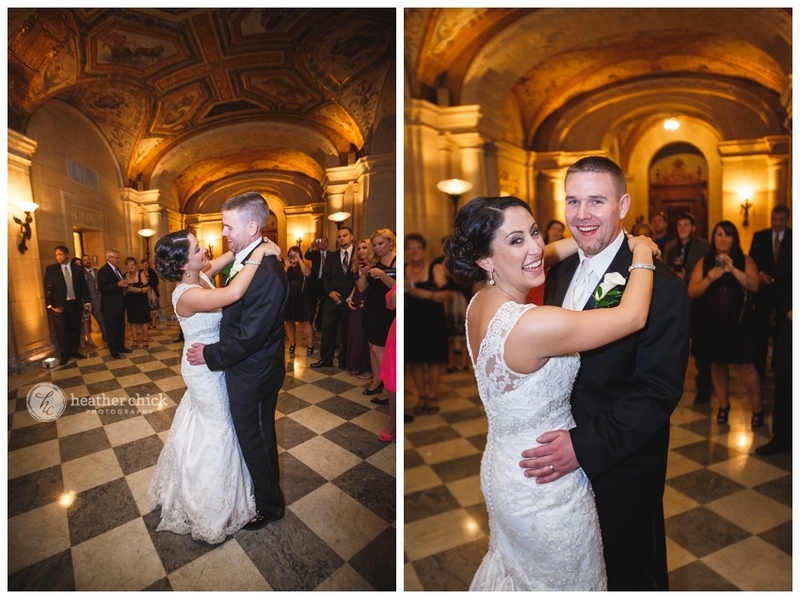 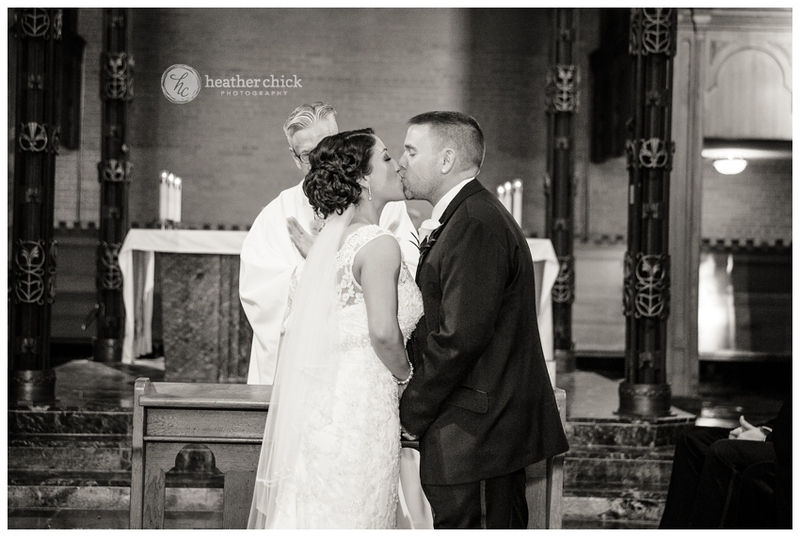 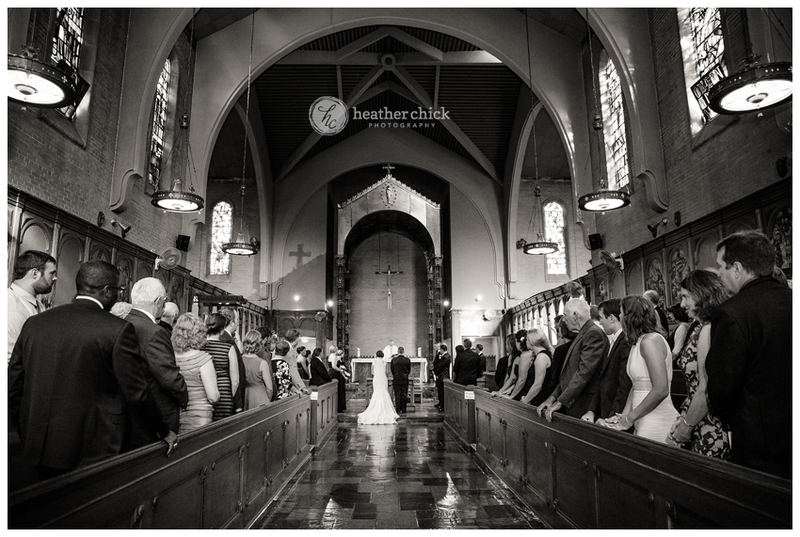 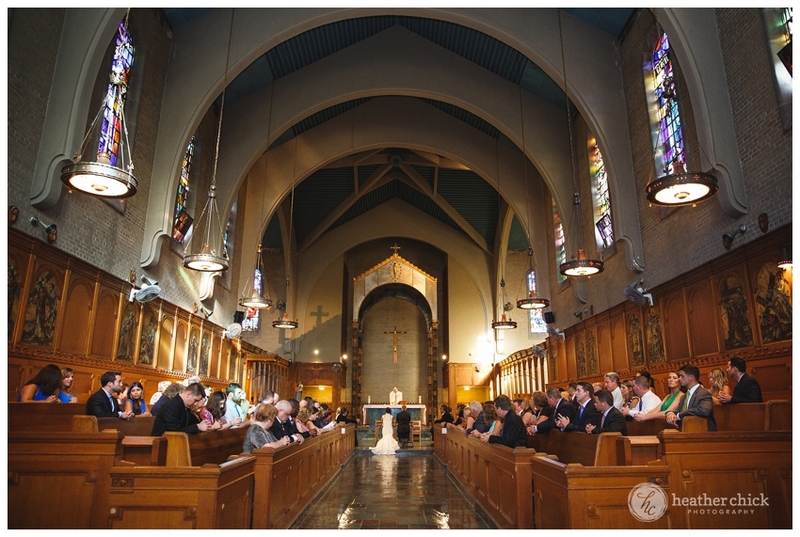 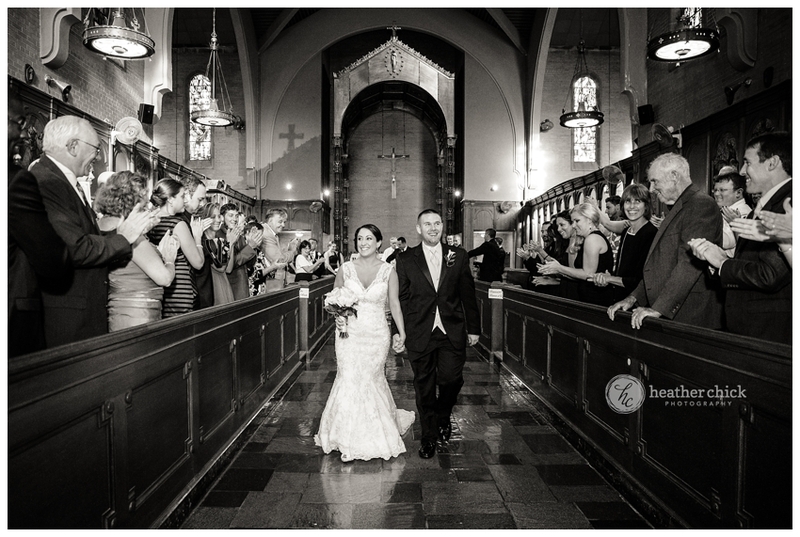 Christine & Mike – thank you so much for having me be a part of your day! 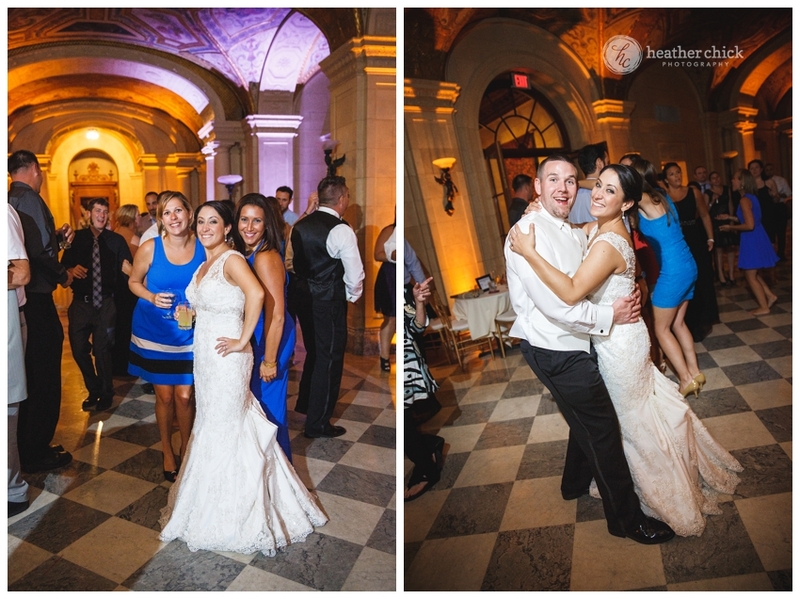 You two are such happy and easy going people…it was a joy to work with you! 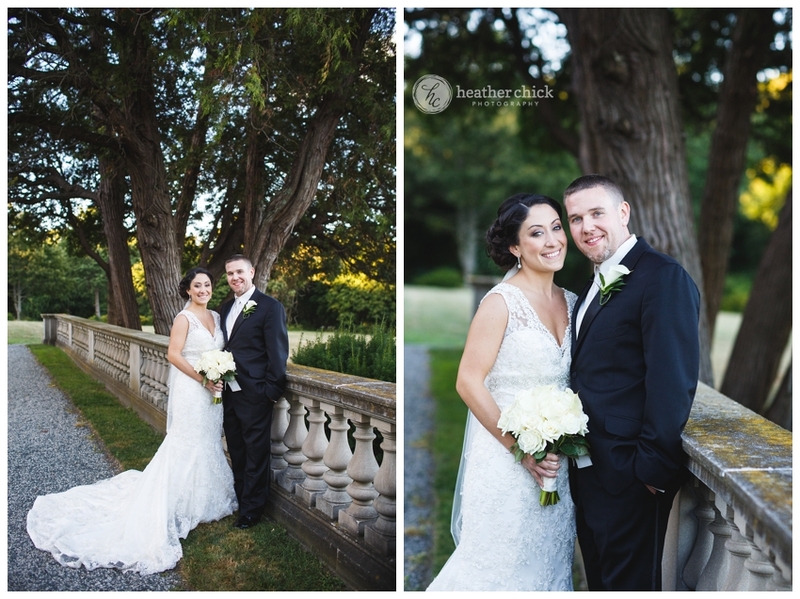 It was also so nice to see so many familiar faces again AND to meet Christine’s sweet family too:)! 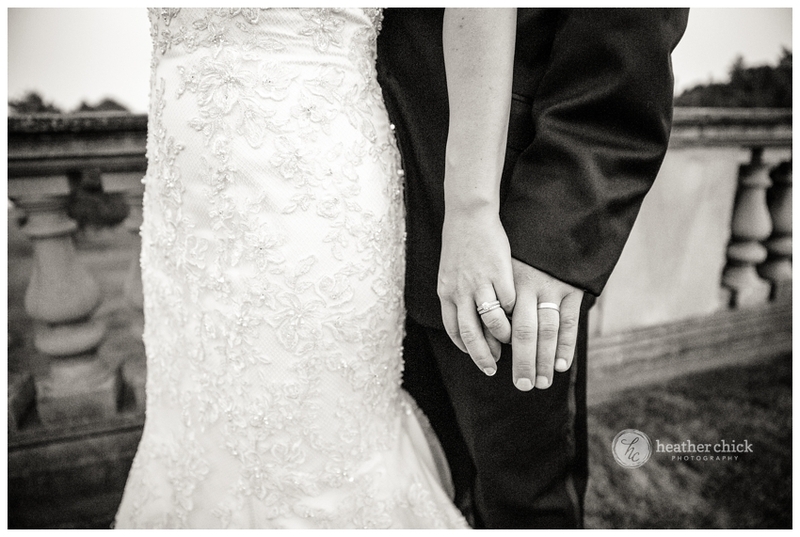 I wish you all the best! 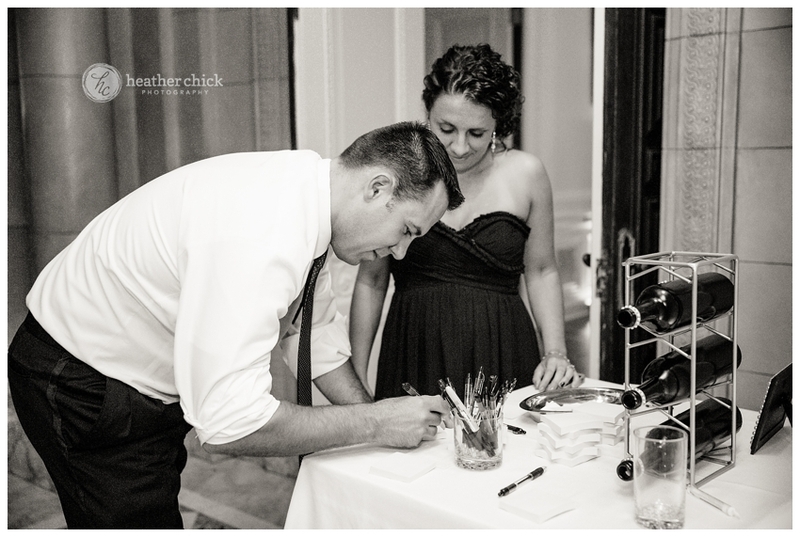 Christine and Mike’s info to come…. 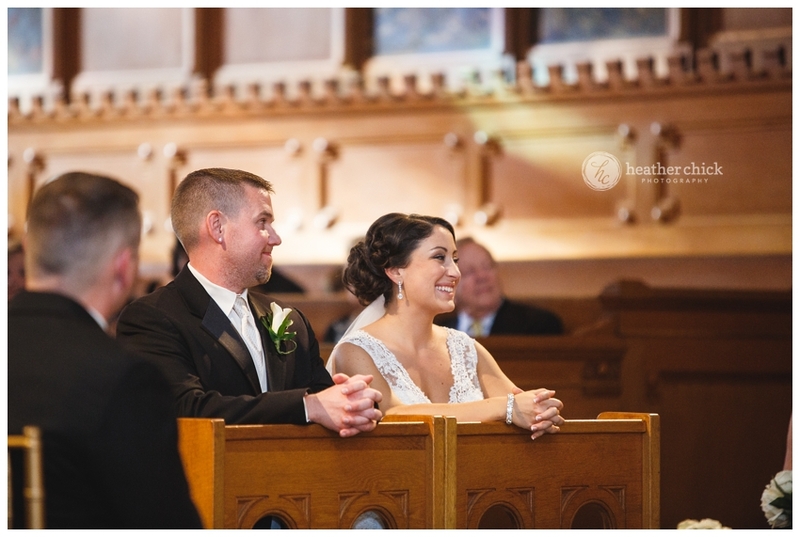 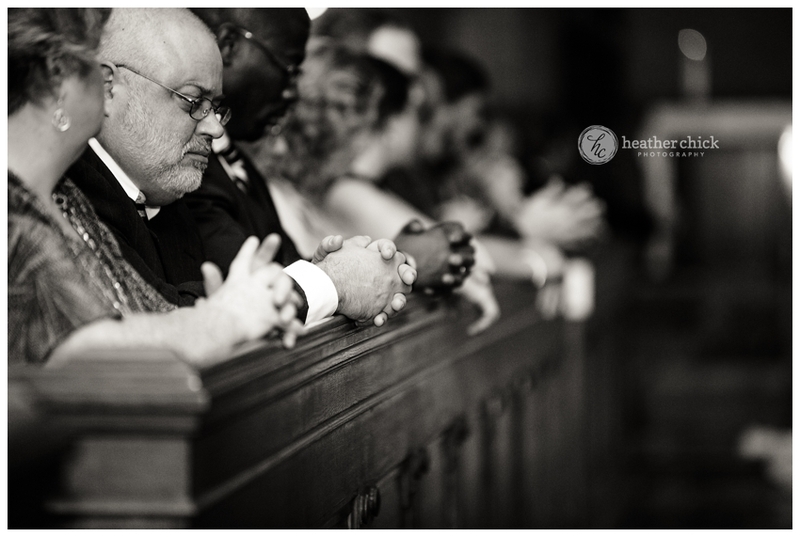 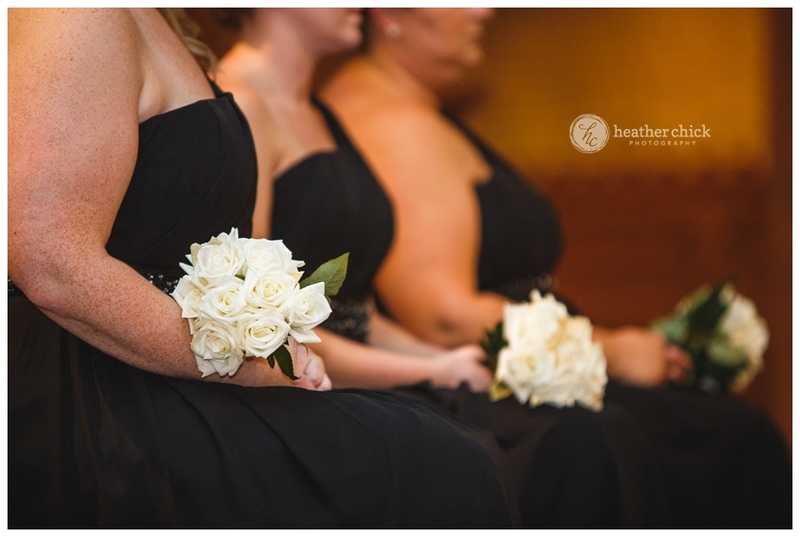 Thank you, Heather Chick Photography, for capturing the happiness of our daughter and son-in-law’s wedding day. 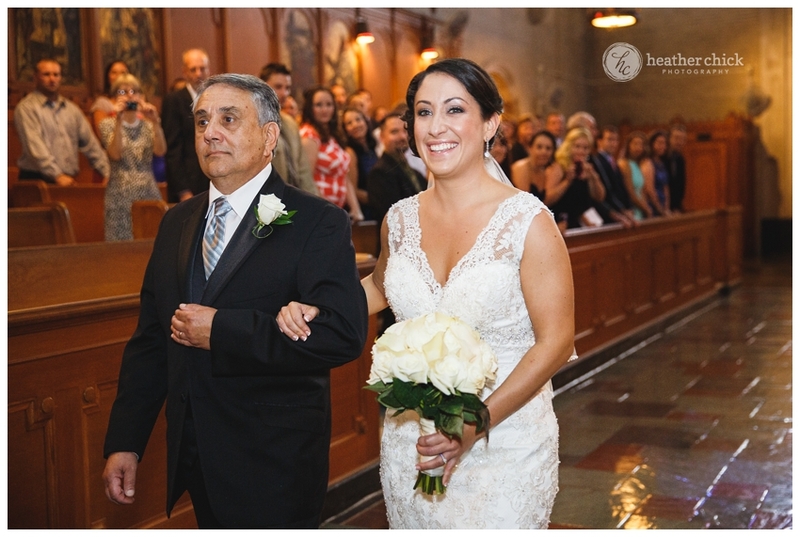 We are grateful that you were chosen to preserve our memories with your outstanding and professional talent. 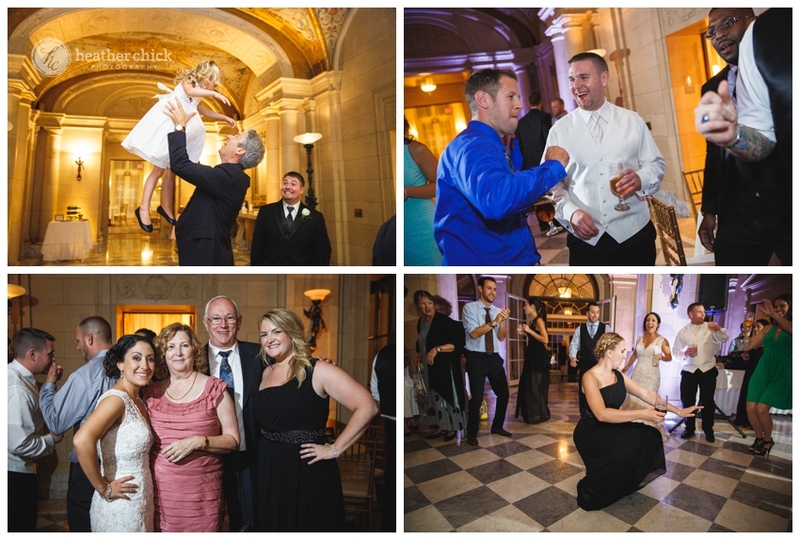 We feel like we are reliving the day when we look at your photographs. 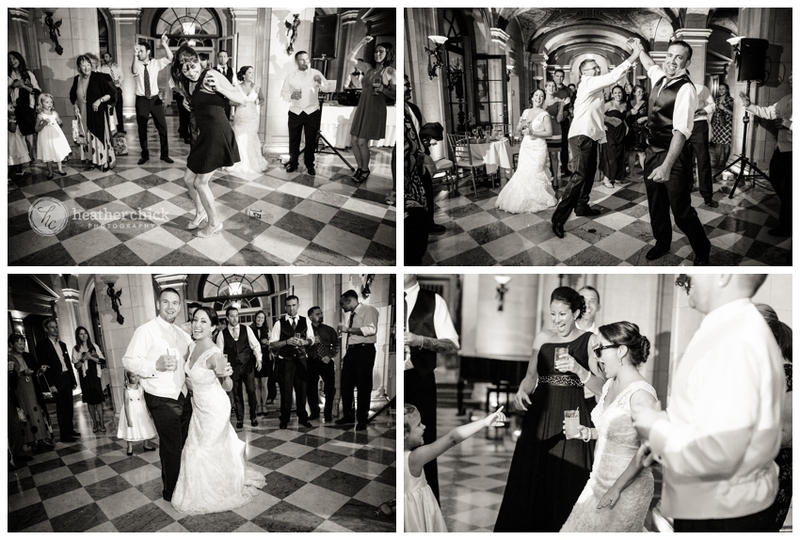 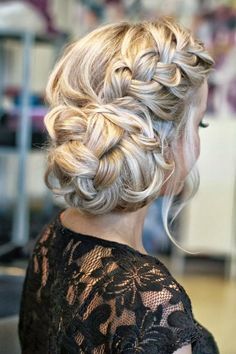 There is only one chance to capture the emotions of the day, and you did it perfectly! 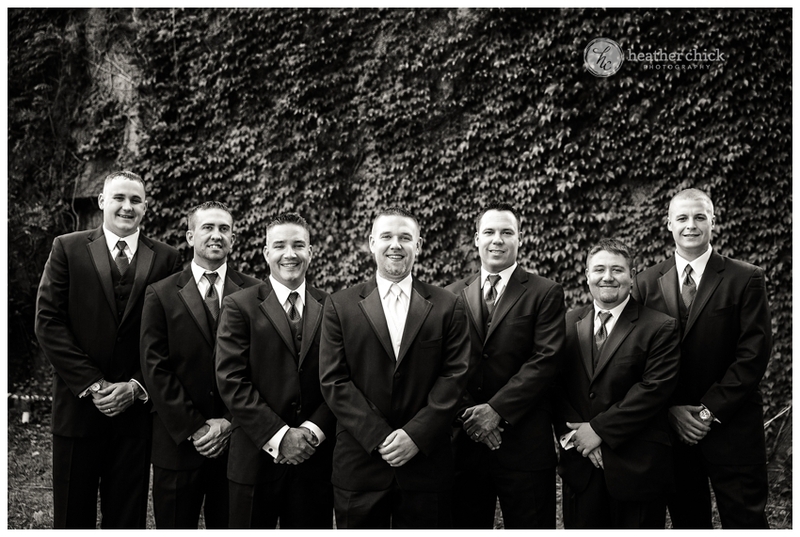 Thank you sincerely!